I recently finished reading Don’t Make Me Think – A Common Sense Approach to Web Usability – by Steve Krug. But when I’m looking at a page that makes me think, all the thought balloons over my head have question marks in them. When you’re creating a site, your job is to get rid of the question marks. We don’t read pages. We scan them…We’re usually in a hurry…We know we don’t need to read everything…We’re good at it. We don’t make optimal choices. We satisfice…We’re usually in a hurry…There’s not much of a penalty for guessing wrong…Weighing options may not improve our chances…Guessing is more fun. there are five important things you can do to make sure they see—and understand—as much of your site as possible: Create a clear visual hierarchy on each page…Take advantage of conventions…Break pages up into clearly defined areas…Make it obvious what’s clickable…Minimize noise. If the page is well designed, when your vision clears you should be able to answer these questions without hesitation: What site is this? (Site ID)…What page am I on? (Page name)…What are the major sections of this site? (Sections)…What are my options at this level? (Local navigation)…Where am I in the scheme of things? (“You are here” indicators)…How can I search? The point is, it’s not productive to ask questions like “Do most people like pulldown menus?” The right kind of question to ask is “Does this pulldown, with these items and this wording in this context on this page create a good experience for most people who are likely to use this site?” And there’s really only one way to answer that kind of question: testing. You have to use the collective skill, experience, creativity, and common sense of the team to build some version of the thing (even a crude version), then watch ordinary people carefully as they try to figure out what it is and how to use it. There’s no substitute for it. Things that diminish goodwill…Hiding information that I want…Punishing me for not doing things your way…Asking me for information you don’t really need…Shucking and jiving me…Putting sizzle in my way…Your site looks amateurish. Things that increase goodwill…Know the main things that people want to do on your site and make them obvious and easy…Tell me what I want to know…Save me steps wherever you can…Put effort into it…now what questions I’m likely to have, and answer them…provide me with creature comforts like printer-friendly pages…Make it easy to recover from errors…When in doubt, apologize. But the things I’m talking- about here are generally very bad practices, and you shouldn’t be doing any of them unless (a) you really know what you’re doing. (b) you have a darned good reason, and (c) you actually are going to test it when you’re done to make sure you’ve managed to make it work; you’re not just going to intend to test it. A highly recommended read in the areas of usability and user experience. I chose to read The Power Of Habit by Charles Duhigg, given my inherent belief in the power of habits and also the strong review/ratings this book has received. Let me start by saying this book did not disappoint in delivering both in terms of content and delivery. This book is divided into three parts. The first section focuses on how habits emerge within individual lives. It explores the neurology of habit formation, how to build new habits and change old ones, and the methods, for instance, that one ad man used to push toothbrushing from an obscure practice into a national obsession…The second part examines the habits of successful companies and organizations…The third part looks at the habits of societies. It recounts how Martin Luther King, Jr., and the civil rights movement succeeded, in part, by changing the ingrained social habits of Montgomery, Alabama—and why a similar focus helped a young pastor named Rick Warren build the nation’s largest church in Saddleback Valley, California. Finally, it explores thorny ethical questions, such as whether a murderer in Britain should go free if he can convincingly argue that his habits led him to kill. Each chapter revolves around a central argument: Habits can be changed, if we understand how they work. In the past decade, our understanding of the neurology and psychology of habits and the way patterns work within our lives, societies, and organizations has expanded in ways we couldn’t have imagined fifty years ago. We now know why habits emerge, how they change, and the science behind their mechanics. We know how to break them into parts and rebuild them to our specifications. We understand how to make people eat less, exercise more, work more efficiently, and live healthier lives. Transforming a habit isn’t necessarily easy or quick. It isn’t always simple. But it is possible. And now we understand how. But that internalization—run straight, hang a left, eat the chocolate—relied upon the basal ganglia, the brain probes indicated. This tiny, ancient neurological structure seemed to take over as the rat ran faster and faster and its brain worked less and less. The basal ganglia was central to recalling patterns and acting on them. The basal ganglia, in other words, stored habits even while the rest of the brain went to sleep…Millions of people perform this intricate ballet every morning, unthinkingly, because as soon as we pull out the car keys, our basal ganglia kicks in, identifying the habit we’ve stored in our brains related to backing an automobile into the street. Once that habit starts unfolding, our gray matter is free to quiet itself or chase other thoughts, which is why we have enough mental capacity to realize that Jimmy forgot his lunchbox inside. Habits, scientists say, emerge because the brain is constantly looking for ways to save effort. Left to its own devices, the brain will try to make almost any routine into a habit, because habits allow our minds to ramp down more often. This process within our brains is a three-step loop. First, there is a cue, a trigger that tells your brain to go into automatic mode and which habit to use. Then there is the routine, which can be physical or mental or emotional. Finally, there is a reward, which helps your brain figure out if this particular loop is worth remembering for the future. Over time, this loop—cue, routine, reward; cue, routine, reward—becomes more and more automatic. The cue and reward become intertwined until a powerful sense of anticipation and craving emerges…Researchers have learned that cues can be almost anything, from a visual trigger such as a candy bar or a television commercial to a certain place, a time of day, an emotion, a sequence of thoughts, or the company of particular people. Routines can be incredibly complex or fantastically simple (some habits, such as those related to emotions, are measured in milliseconds). Rewards can range from food or drugs that cause physical sensations, to emotional payoffs, such as the feelings of pride that accompany praise or self-congratulation. “I made for myself a million dollars on Pepsodent,” Hopkins wrote a few years after the product appeared on shelves. The key, he said, was that he had “learned the right human psychology.” That psychology was grounded in two basic rules: First, find a simple and obvious cue. Second, clearly define the rewards. If you get those elements right, Hopkins promised, it was like magic…And those same principles have been used to create thousands of other habits—often without people realizing how closely they are hewing to Hopkins’s formula. It wasn’t God that mattered, the researchers figured out. It was belief itself that made a difference. Once people learned how to believe in something, that skill started spilling over to other parts of their lives, until they started believing they could change. Belief was the ingredient that made a reworked habit loop into a permanent behavior. ‘I knew I had to transform Alcoa,” O’Neill told me. “But you can’t order people to change – That’s not how the brain works. So I decided I was going to start by focusing on one thing. If I could start disrupting the habits around one thing, it would spread throughout the entire company.” O’Neill believed that some habits have the power to start a chain reaction, changing other habits as they move through an organization. Some habits, in other words, matter more than others in remaking businesses and lives. These are “keystone habits,” and they can influence how people work, eat, play, live, spend, and communicate. Keystone habits start a process that, over time, transforms everything…If you focus on changing or cultivating keystone habits, you can cause widespread shifts. However, identifying keystone habits is tricky. To find them, you have to know where to look. Detecting keystone habits means searching out certain characteristics. Keystone habits offer what is known within academic literature as “small wins.” They help other habits to flourish by creating new structures, and they establish cultures where change becomes contagious. Or, put in language that people use outside of theoretical economics, it may seem like most organizations make rational choices based on deliberate decision making, but that’s not really how companies operate at all. Instead, firms are guided by long-held organizational habits, patterns that often emerge from thousands of employees’ independent decisions. And these habits have more profound impacts than anyone previously understood…These organizational habits—or “routines,” as Nelson and Winter called them—are enormously important, because without them, most companies would never get any work done. Routines provide the hundreds of unwritten rules that companies need to operate. They allow workers to experiment with new ideas without having to ask for permission at every step. Good leaders seize crises to remake organizational habits…In fact, crises are such valuable opportunities that a wise leader often prolongs a sense of emergency on purpose. A movement starts because of the social habits of friendship and the strong ties between close acquaintances. It grows because of the habits of a community, and the weak ties that hold neighborhoods and clans together. And it endures because a movement’s leaders give participants new habits that create a fresh sense of identity and a feeling of ownership. Usually only when all three parts of this process are fulfilled can a movement become self-propelling and reach a critical mass. There are other recipes for successful social change and hundreds of details that differ between eras and struggles. But understanding how social habits work helps explain why Montgomery and Rosa Parks became the catalyst for a civil rights crusade. Habits are not as simple as they appear. As I’ve tried to demonstrate throughout this book, habits—even once they are rooted in our minds—aren’t destiny. We can choose our habits, once we know how. Everything we know about habits, from neurologists studying amnesiacs and organizational experts remaking companies, is that any of them can be changed, if you understand how they function. Hundreds of habits influence our days—they guide how we get dressed in the morning, talk to our kids, and fall asleep at night; they impact what we eat for lunch, how we do business, and whether we exercise or have a beer after work. Each of them has a different cue and offers a unique reward. Some are simple and others are complex, drawing upon emotional triggers and offering subtle neurochemical prizes. But every habit, no matter its complexity, is malleable. The most addicted alcoholics can become sober. The most dysfunctional companies can transform themselves. A high school dropout can become a successful manager. However, to modify a habit, you must decide to change it. You must consciously accept the hard work of identifying the cues and rewards that drive the habits’ routines, and find alternatives. You must know you have control and be self-conscious enough to use it—and every chapter in this book is devoted to illustrating a different aspect of why that control is real. 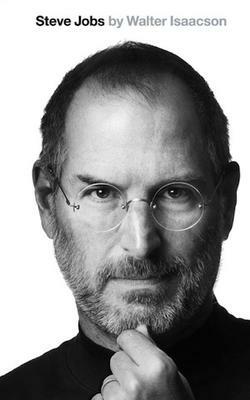 I recently finished reading Steve Jobs by Walter Isaacson. 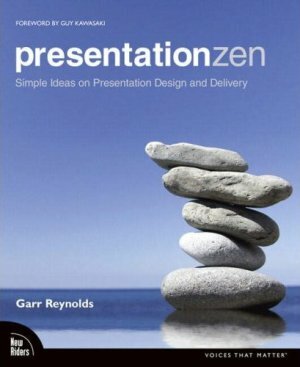 I just finished reading Presentation Zen – Simple Ideas on Presentation Design and Delivery – by Garr Reynolds. 11- “Here’s a quick summary of the six principles from Made to Stick that you should keep in mind when crystallizing your ideas and crafting your messages for speeches, presentations, or any other form of communication. 5) The principle of repetition simply means the reusing of the same or similar elements throughout your design. Repetition of certain design elements in a slide or among a deck of slides will bring a clear sense of unity, consistency, and cohesiveness. Where contrast is about showing differences, repetition is about subtly using elements to make sure the design is viewed as being part of a larger whole. 6) The whole point of the alignment principle is that nothing in your slide design should look as if it were placed there randomly. Every element is connected visually via an invisible line. Where repetition is more concerned with elements cross a deck of slides, alignment is about obtaining unity among elements of a single slide. I recently read A Whole New Mind – Why Right-Brainers Will Rule The Future – by Daniel H. Pink.